Bryan Singer is best known for directing the first three X-Men movies which were all wildly successful entries into the cinematic super hero genre. 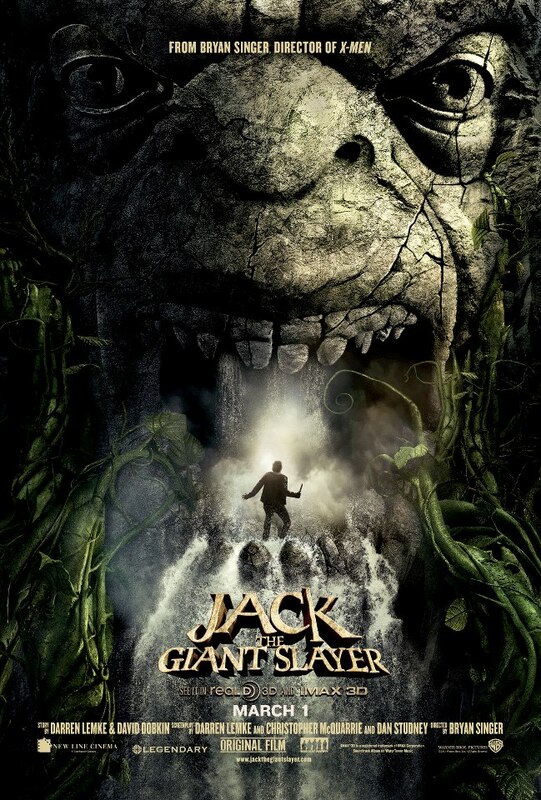 Now he is taking a giant leap into fairy tale land by turning the classic story of a young boy who stumbles upon some magic beans and turns it into an epic adventure in Jack the Giant Slayer. 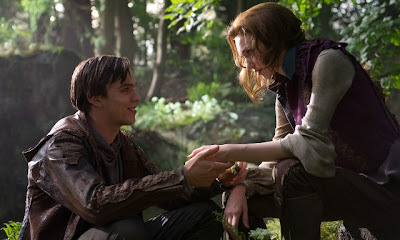 After being sent into the kingdom city of Cloister to raise money for his uncle's struggling farm, Jack (Nicholas Hoult) stumbles through a chance meeting with the beautiful Princess Isabelle (Eleanor Tomlinson) and then ends up unwittingly taking possession of the legendary beans from the stories his father told him over and over when he was a child. After returning home, Jack's uncle scolds him for returning seemingly empty handed and sets off on his own to earn the money his young nephew was supposed to obtain while off on his unlikely adventure. 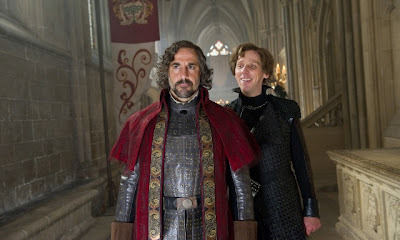 Meanwhile, the princess has set off on her own to look for the adventures she has been yearning to experience while her father, King Brahmwell (Ian McShane), has kept her under close watch in hopes of protecting her from the evils that took his wife. As a rain storm hits, Isabelle's journey leads straight to Jack's farmhouse for shelter although their reunion is cut short by the magical beans that suddenly burst into a giant stalk that carries the princess off into the sky above. 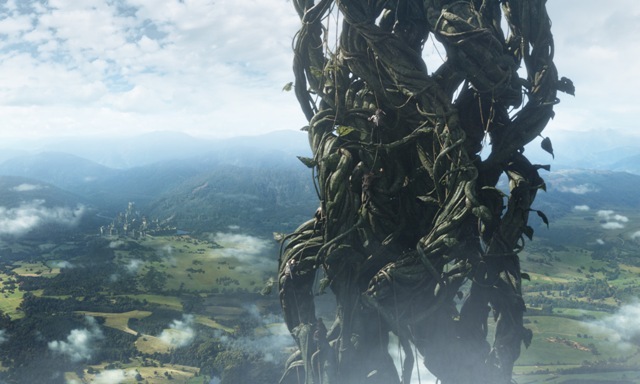 This is just the beginning of a story that includes an army of giants who come from a mystical land in the clouds and the earthly kingdom they once tried to conquer but are now banished from. Of course, there is also a villain who reveals himself from the shadows in a conceited attempt to gain control of both lands so that he can rule over everyone. 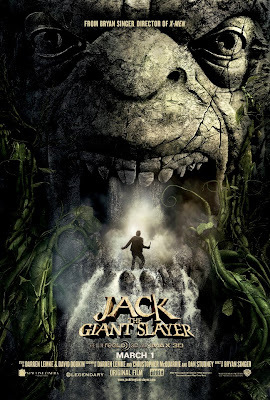 What makes Jack the Giant Slayer a really fun movie is how Singer keeps the action rolling and doesn't take any of it too seriously. This movie is targeted towards families so you won't find much in the way of heavy handed drama or gory battle scenes, but you will get an appropriate dose of comedy and a visual style that is more Saturday matinee than gritty realism. All of this works very well together and the cast is clearly in on all the fun being had. Ewan McGregor is especially good as the heroic and noble Captain Elmont and Stanley Tucci has a great time with his role as Roderick, the King's right hand man. 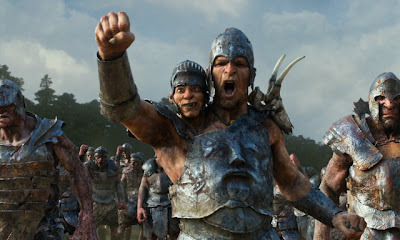 Jack the Giant Slayer puts Singer's career back on track after his Superman Returns and Valkyrie movies both fell far short of expectations. 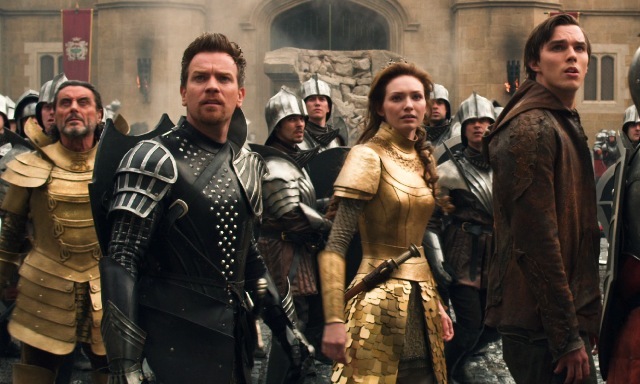 Nicholas Hoult, in the starring role, continues to cement himself as a rising star as the ladies will love his earnest heroism and boyish charm although his costume looks like something out of a mall store instead of being from a long ago fairy tale land. If you're wondering about seeing the movie in 3D, I would say yes as it does add quite a bit to the visual feast that's thrown on to the screen without being overly obtrusive. Either way, this is a movie you are sure to enjoy so grab a big bucket of popcorn and go check it out!